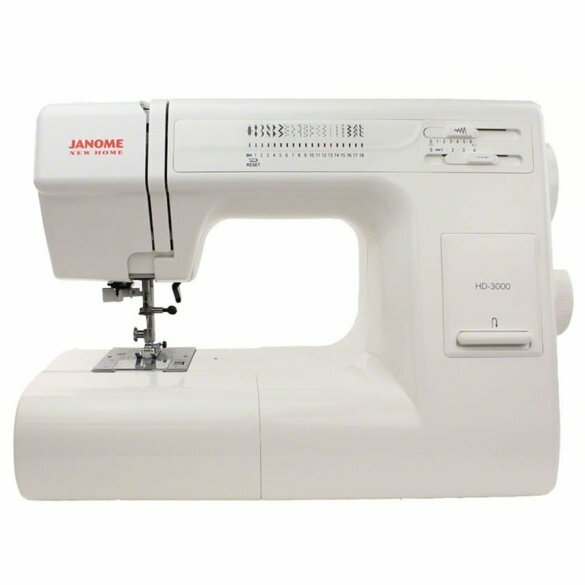 The HD-3000 is a heavy duty machine, perfect for a beginner or sewist looking to do a wide range of sewing. A handy instructional guide is located in the top tray door of the machine, which indicates the feet and stitch settings for a variety of sewing tasks. Heavy duty aluminum body and 18 stitches, includiing a one-step buttonhole give you the tools you need to handle any kind of sewing project Stitch length and width adjustment are conveniently located on the front of the machine and a hard cover comes standard for easy storage.